If you have an ad blocker enabled, you may experience problems loading games on Pogo. 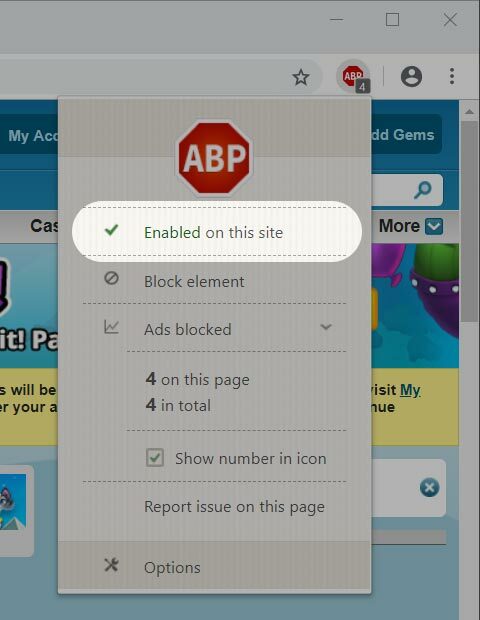 Here is a quick guide to disable Adblock Plus – one of the most popular ad blockers – on Pogo. 2. 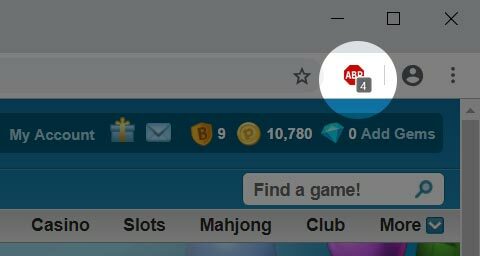 Click the red Adblock Plus “ABP” icon on your Chrome toolbar. 3. Select the “Enabled on this site” option to toggle it off. 5. The icon should also now appear in black and white, indicating you’re all set! 6. 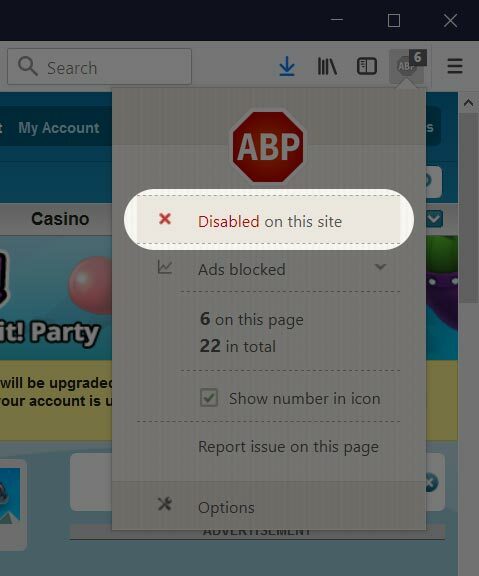 If you had previously tried to play a game, click the “I’ve Disabled Ad Blocking” button or simply refresh your browser. 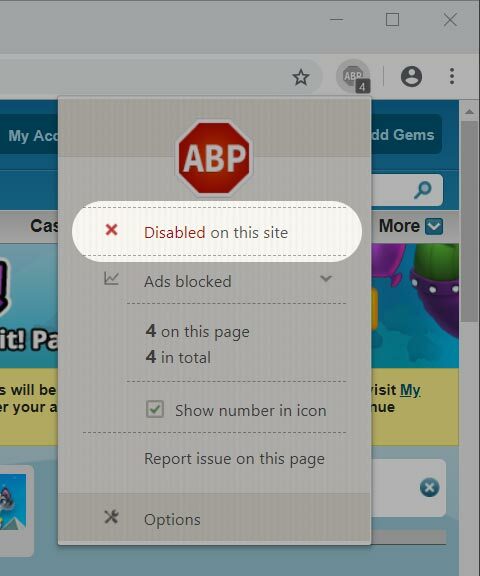 Click the red Adblock Plus “ABP” icon on your Firefox toolbar. Select the “Enabled on this site” option to toggle it off. The icon should also now appear in black and white, indicating you’re all set! 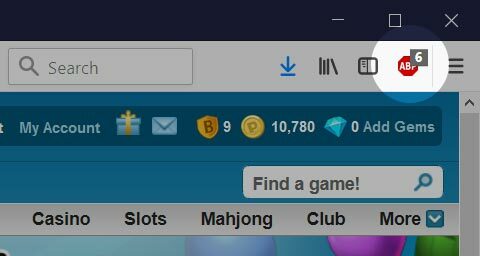 If you had previously tried to play a game, click the “I’ve Disabled Ad Blocking” button or simply refresh your browser. 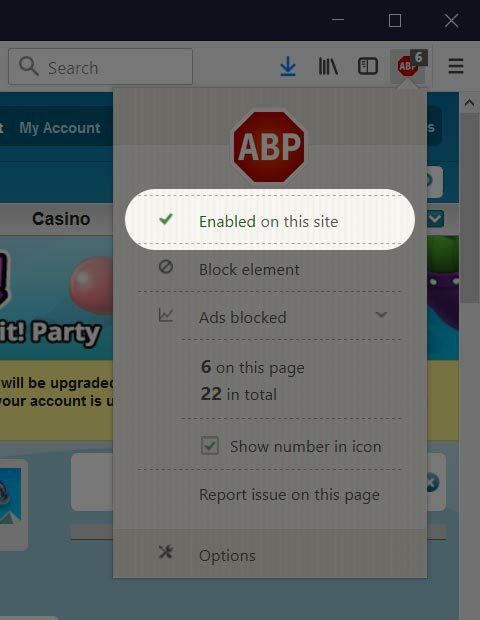 Click the gray Adblock Plus “ABP” icon on your Safari toolbar. The text should now read “Disabled on this site.” You’re all set!